Dave Adams was a pleasure to work with. He is knowledgable, intelligent, and an amazing individual. He eased the process for my wife and I, even though we did not purchase. Great dealership. Answered all our questions with zero pressure. I had a very positive experience with All Star. My salesman Renell Cozart made the experience great. He was very professional and knowledgeable about the entire process. Made me deal at ease and welcomed at all times. I highly recommend him. It was good and very professional. David is the best! Friendly and a great person to work with! Very easy and no pressure. The best salesman to have and very knowledgeable on the product! 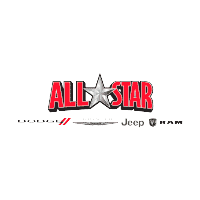 All Star is not the closes dealer but I do trust them . I go out of my way to use them even for warranty.